Mynxee is doing a pod journal where she is drawing images from her eve adventure. Psianh was all, "You need to do it its so cool I started to." Sure. Why not. Peer pressure. I caved. I've been wanting to draw eve stuff for a while but I normally work in oil painting. My goal is actually to move to my drawing tablet and draw on the computer. I have a sketch pad that I use for random minecraft inspiration. But for tonight, for a first and quick effort I decided to do a quick sketch in pencil and glitter pen. Maybe I will get some color pencils and try that as a new medium. I had to take a picture since I don't have the scanner software installed on my computer right now. Reference material just in case it doesn't come across as well as I'd like. What's the back story on the image? I'm really excited to see your tablet art. I think it's awesome how everyone is approaching this in their own kind of way. Boys fight Proteus and tackle Orca. Archon warps to gate to save Orcs. 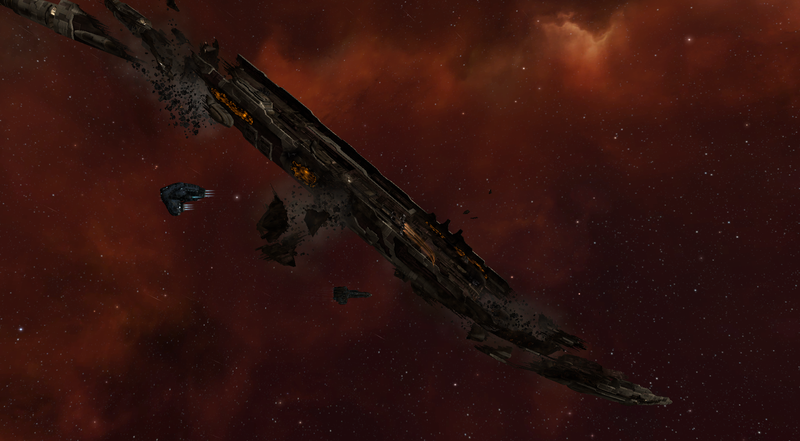 We undock and come calling for a carrier kill. Awesome drawing. I'm very jealous of people that can create something cool from just a few pencils and peice of paper. I hope you do (and post) more.